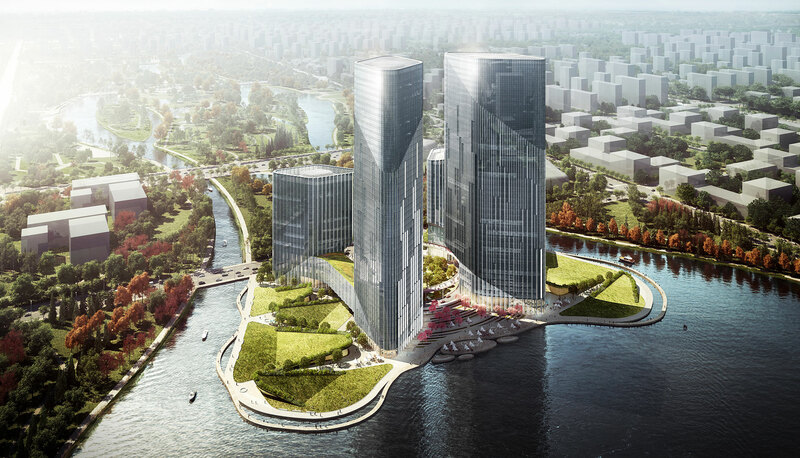 bKL Architecture’s proposed design for the Greenland Zhengzhou Shuanghe Lake Twin Towers in the Henan region of China features four mixed-use structures, two 191m towers and two anchoring 91m towers, marking a gateway to the city’s southern expansion focused on the new high-speed rail and Garden Expo Center. 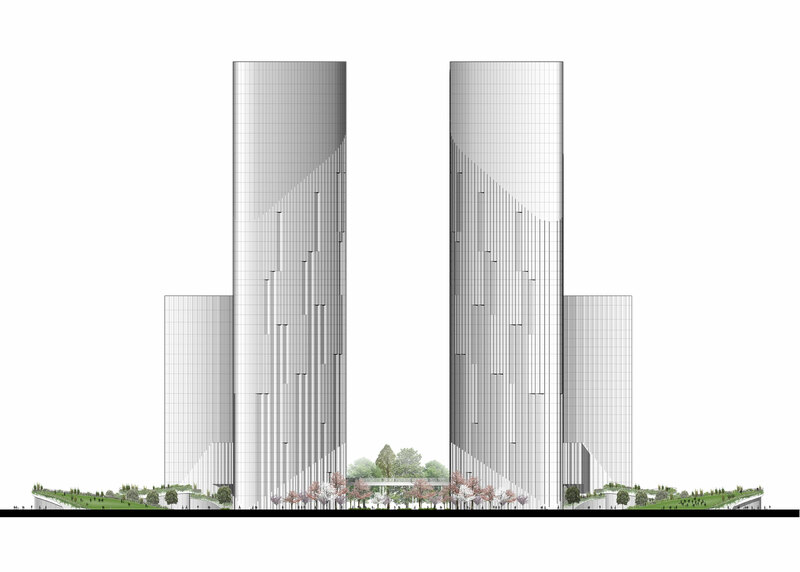 The towers are arranged at four quadrants around a central node, which provides the main entry to the site. 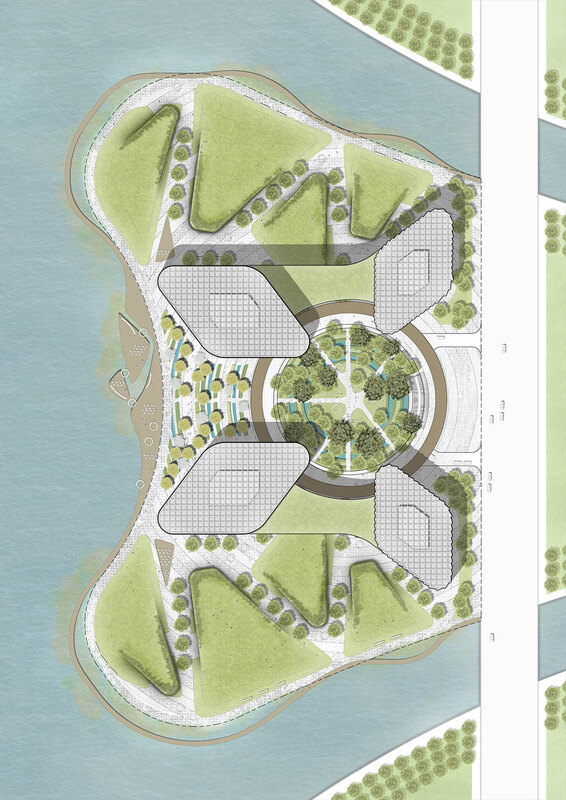 This arrangement allows for a continuous waterfront connection, as well as an expansion of the Garden Expo landscaping. 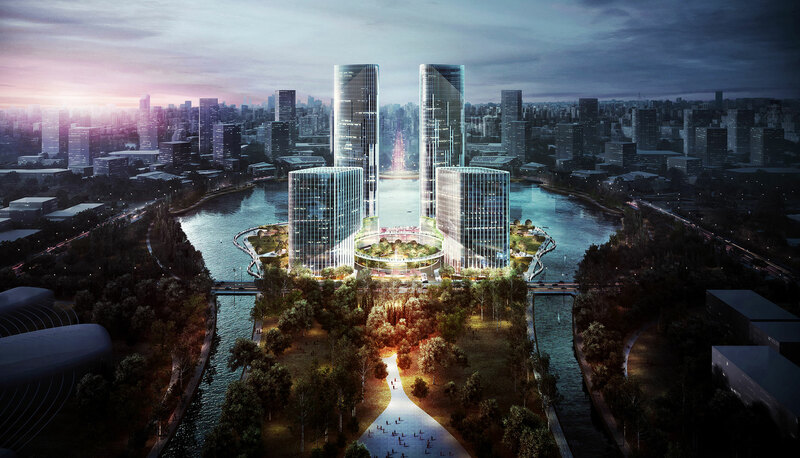 As the buildings are cantilevered around the central ring that encapsulates the site, the towers appear to float effortlessly thereby reinforcing the structures’ movement and relationship to one another. 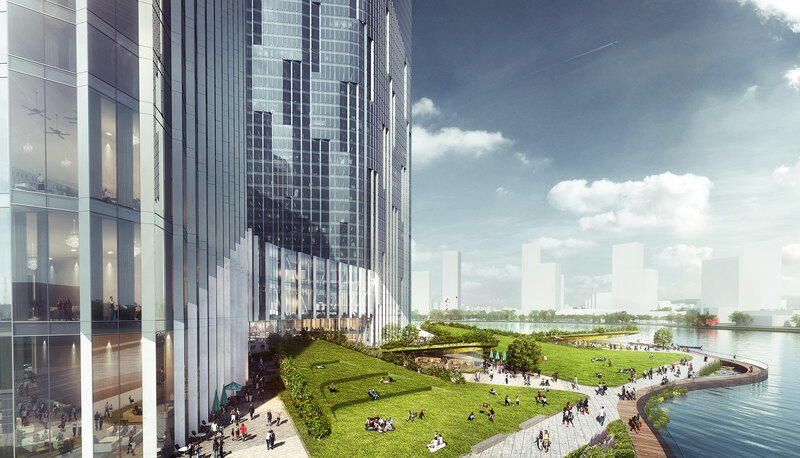 Reminiscent of a pair of elegant dancing cranes, the communication between the tower forms is intrinsic, flowing, and energetic while symbolizing success, balance, and harmony. 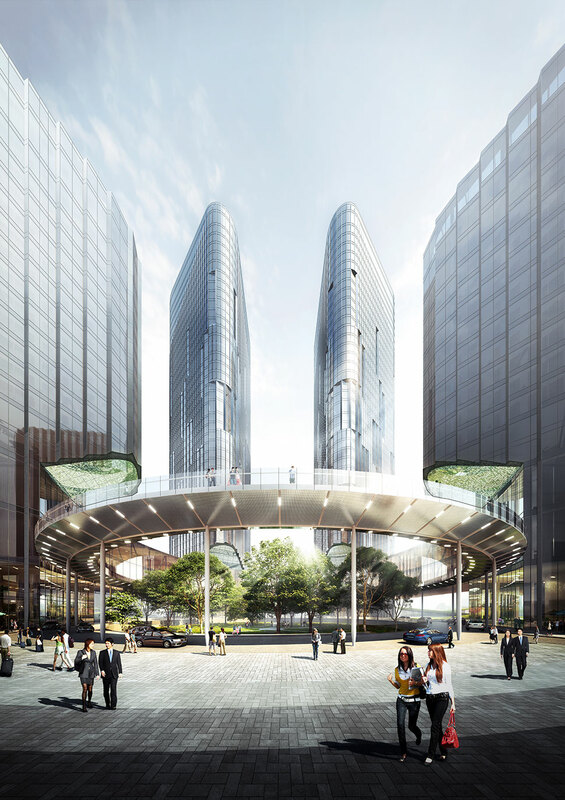 Composed of glass with limestone accents at the base and metal accents at the mid-section, a gradience of serration dissipates towards the top of the buildings to reveal the structures’ full glass form. 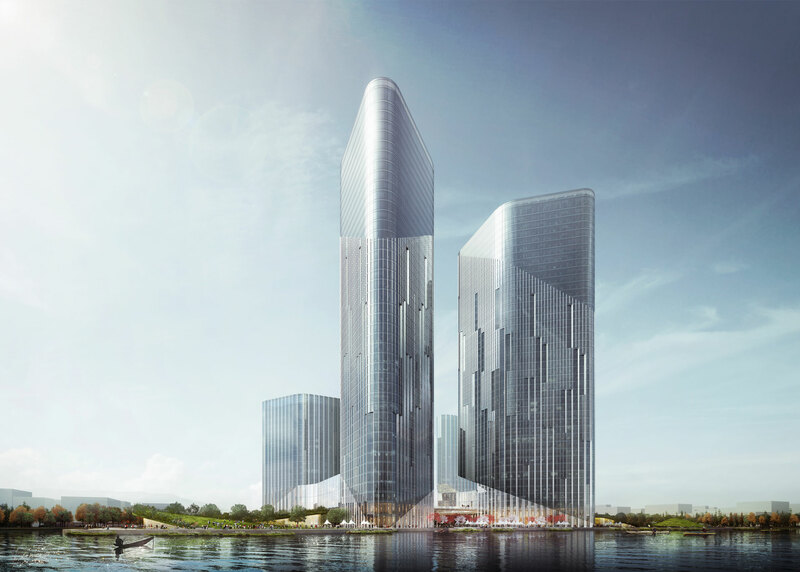 The textured façade at the base of the structures leads to a clean, elegant form at the top, representing the feathered form of two standing cranes. 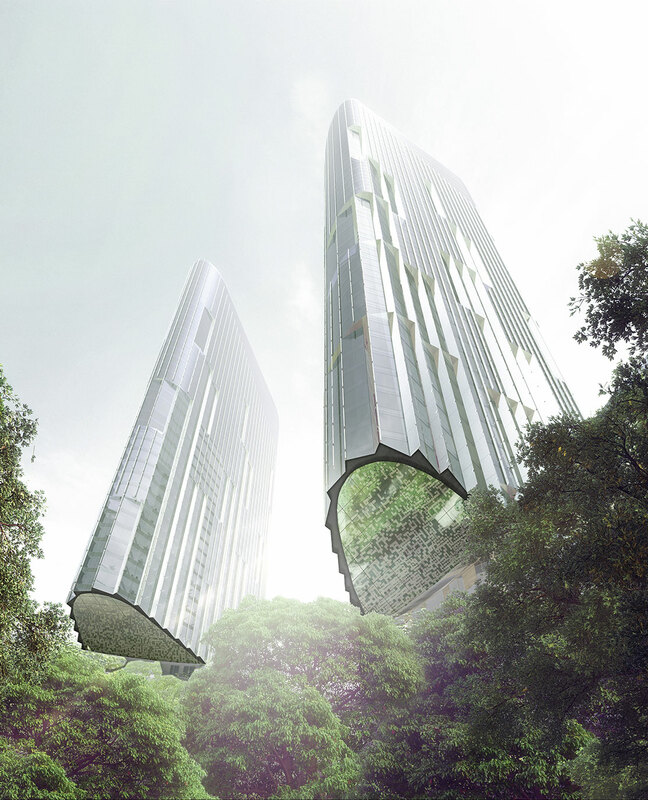 This provides an interactive vision of lightness and symbolism for the future of the developing region.